FREE P.F. Chang’s Lunch Bowl With Entree Purchase! You are here: Home / FREEbies / FREE P.F. Chang’s Lunch Bowl With Entree Purchase! Until June 15 only! Head over to P.F. 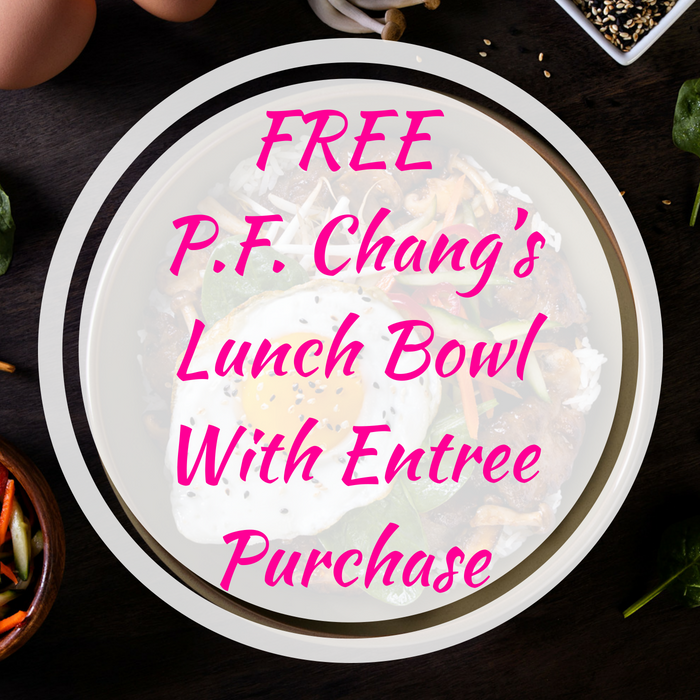 Chang’s where you can score a FREE Lunch Bowl with any Entree Purchase from Monday to Friday until 4PM! Print or show this coupon to your server to get this FREEbie. Enjoy!